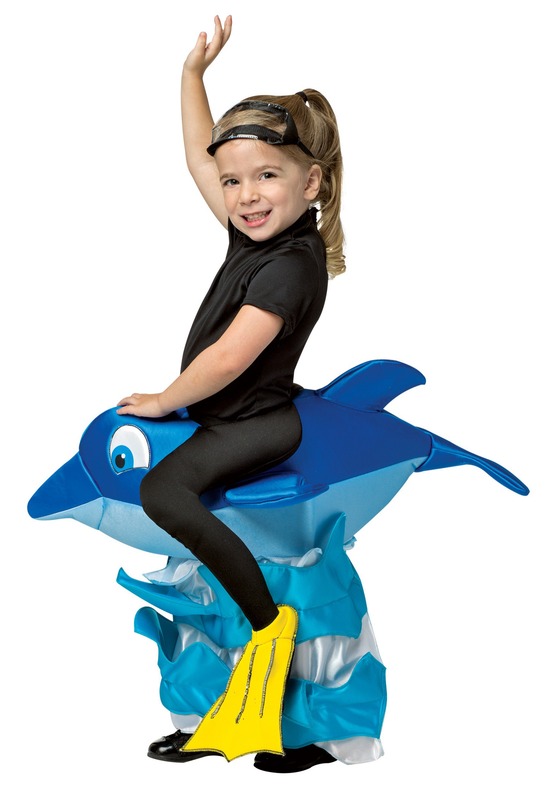 So your child wants to ride some dolphins, but you live in the middle of the desert! Why do kids always want the most impossible things? Think about it! We’re not even talking about being a unicorn, or living in a castle… Nope, we’re talking about the fact that if you live on a farm, your kid is invariably going to become obsessed with living in a huge city, or, if you live in a huge city, they’re obsessed with the idea of living on a horse ranch. It’s like you can never get it right! Even worse, even when you do want to be a cool parent - which is nice…we feel like maybe not enough people tell you how nice it is that you actually want to be a cool parent, because let’s face it: It’s a lot easier to just be all, “Nah. Don’t care. Grow up and then you can do what you want.” - that means that you’re going to have to spend those precious vacation days making their dreams happen for them. Which is ALSO nice, and frankly, they don’t really deserve it. After all, are they the ones who go into the office or shop every day, or pay the doctor’s bills when they get sick again (seriously, is it just us, or are kids just always constantly sick? ), or give up that super sweet cable package just so you can buy them the fifth pair of shoes they’ve needed this year? No! That’s you, pal, and you deserve the kind of vacation you want! So if your kid is obsessed with sea life - and you live in, say, Arizona - take some of your life back by getting them this Dolphin Rider Child Costume! In this soft sculpted pullover jumpsuit, they can pretend to ride a dolphin through the high seas within the comfort of your living room, you can still go on the vacation that you want...one that, for example, does not involve a trip to Sea World. Just call it a successful adult/parenting balance!